Our team is having rich experience in dealing with Copyright matters. 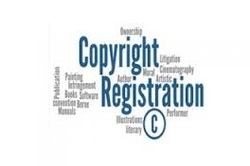 We provide detailed advice and counseling on different aspects of Copyright including literary, dramatic, musical, artistic works, cinematographs films, Photographs, Cartoon and Sports characters, Computer Software, live performances, phonograms; Broadcasting; etc. India is one of the few jurisdictions of the world where registration of copyright work is available. Although, not compulsory but highly advisable to register a work of copyright under the law of Copyright in India. Our team assist to register various works under the Copyrights Law in India. We are experienced in advising, chalking out strategies and drafting of necessary documents for Licensing and Assignment of a copyrighted Work. We are highly experienced in Copyright infringement and piracy litigation. We also have strong association with investigators and work closely for anti-counterfeiting and piracy matters and actions. Our dedicated litigation team is vastly experienced and successful in chalking out strategies for legal action against infringement or piracy before various competent law authorities in India.